It seems like more than ever before we are living in a time where most people are putting their health and well-being last on their list of priorities. Either because of limited time, lots of other responsibilities, or a lack focus and mental discipline. For one reason or another, health and well-being ends up at the bottom of this list even though when asked about it, people agree that their physical & mental health is a priority. We make way for everything and everyone else first and commit whatever time and energy is left to ourselves which unfortunately ends up being little to no time or energy at all. We sacrifice our own health and well-being for the well-being of others. Whether that's your customers, clients, family, friends, neighbors, whoever. If you don't feel your best, you can't give your best to anything or anyone else. In order feel and be at your best, whether it's through losing weight, getting fit, or exercising regularly, it begins with you. Taking a stand for yourself. Making yourself the priority. Saying "enough is enough, my time is now". Because unfortunately, no one will do this for you. Regardless of how successful you are in different areas of your life, there seems to always be a gap between where you are and where you want to be. Your business is taking off but your health is in bad shape. Your health is in good shape but you can't seem to keep it there. You're able to maintain your good health but your confidence is missing. And because your confidence is missing, business isn't taking off. 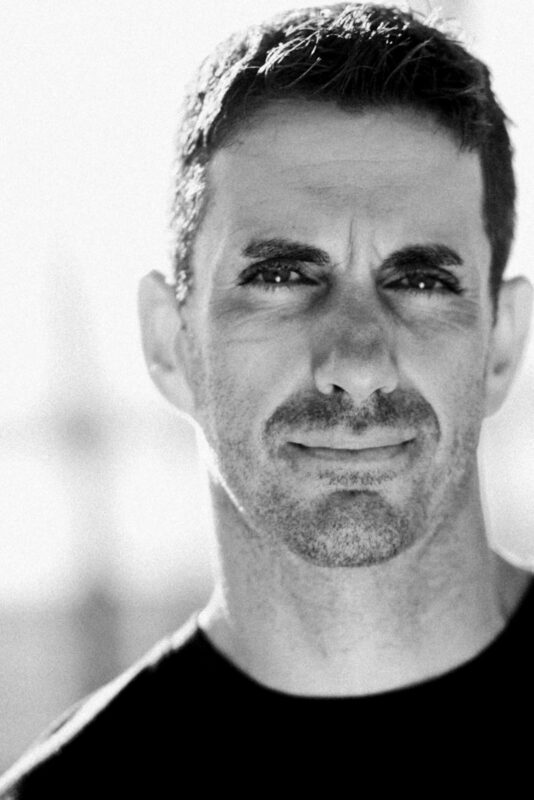 After working with people from all over the world for the past 17 years, I've created a 30-day online experience to get you from where you are today physically to where you want to be. Whether your goal is to lose weight, get fit, leaner, feel stronger, boost your confidence and energy, workout regularly, or double your business profits, we'll get you there. You take a stand for yourself and make yourself the priority. With Entrepreneur Fitness Academy, YOU are the priority. YOU come first. Entrepreneur Fitness Academy will provide you with the guidance, resources, and accountability necessary to make you, your health, and well-being the priority. You will be guided, supported, and held accountable during this 30 day experience. Accountability that will keep you motivated, committed, to feeling your best. Getting you from the mental and physical state you're in now to where you want to be. Accountability that will help you create habits that'll stay with you long after the 30 days. Because when you're feeling your best, you will be at your best in all you do. I hope you will join me for these 30 days that will change your life forever, that will help you once and for all to make you the priority and take your health and business to the next level. 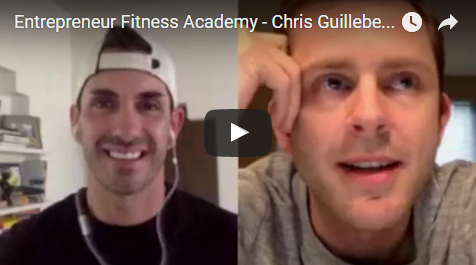 What it is: Entrepreneur Fitness Academy is the first of its kind 30-day online fitness experience for entrepreneurs committed to creating the mindset and fitness habits necessary to feel and be at their absolute best. Who it's for: This 30-day experience IS for entrepreneurs who are serious about making their health a priority, committed to doing the work necessary to feel and be their absolute best. It's for entrepreneurs ready to take a stand for themselves and make their health and well-being the priority so that they can live a healthier, happier, more confident life. 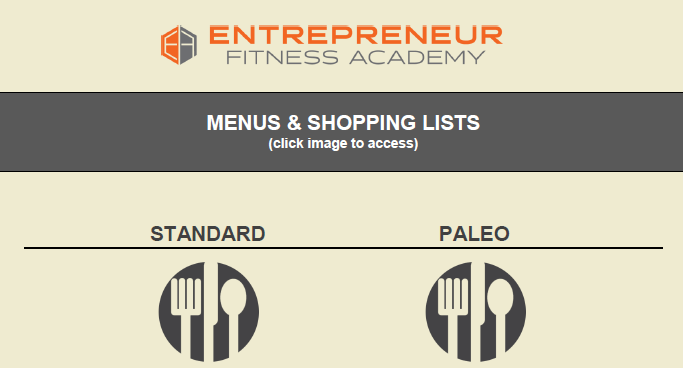 Who it’s NOT for: It's important to point out that Entrepreneur Fitness Academy is not for everyone. This 30 day experience is NOT for people looking for a magic solution, for a quick-fix or success hack. This is not for those looking to do minimal work and expecting maximal results. These 30 days will require your full participation and commitment to do the work and complete the daily assignments. If you are not willing to put in the time, energy, and effort for all 30 days to feel and be at your absolute best, this academy is not for you so please do not register. I don't want to waste any of your time or mine. Make this the time you say "enough is enough, my time is now". Take a stand for yourself, for your health, and well-being, and for all those times you've said "not yet" or "next time" and next time never came. No more next time, make this your time. You will receive daily videos introducing each weeks mission along with that days specific assignments to help you achieve your #1 health & fitness goal. Each mission will include detailed assignments and worksheets to be completed that have been tested, analyzed, and proven to help you achieve your goal. Over 100 instructional exercise videos along with 5, 15, 30, 45, and 60 minute workout routines & stretches for all fitness levels that requires no equipment. Nutritional menus (standard, vegan, vegetarian, & paleo) and shopping lists you can print, reference, and use for guidance going forward. 16 entrepreneur interviews that provide valuable insight on how and what to do to keep your mind, body, and business in shape. 24/7 accountability and support through a private member-only Facebook group where daily check-ins will be required. 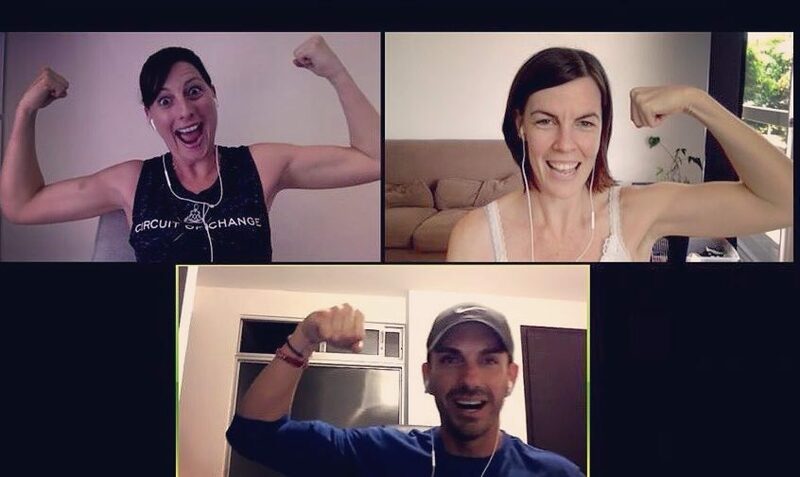 There will be 3 live group calls with me throughout the 30 days for added accountability, support, and motivation to assure you achieve your #1 health & fitness goal. Your time is valuable and I respect you taking the time to look through Entrepreneur Fitness Academy to decide if it's the right fit for you. I have so much respect for you even if I haven’t met you yet because if you’re here, it means feeling your best is important to you. It means you’re not interested in taking the easy road, the same easy road that leads to mediocrity, keeping you last on the priority list; unhealthy, unhappiness, unfulfilled. If you’re here it means you’re interested in doing the work, what it takes, committing your time, energy, and effort to feeling your best so that you're at your your best in all that you do. Entrepreneur Fitness Academy will help you thrive personally & professionally. During these 30 days you will create a personalized game-plan for yourself that YOU decide on, that YOU are comfortable with, that YOU commit to, and that works for YOU. A game-plan that makes you, your health, and overall well-being the priority. A game -plan you'll forever have access to and be able to leverage going forward to achieve any goal you set out to achieve long after Entrepreneur Fitness Academy is over. Lose 20 pounds? No problem. 50 pounds? No problem. Get rid of that annoying belly fat? No problem. Start running again? No problem. Remain consistent with exercise? No problem. Fit into a smaller size? No problem. Be happier, healthier, more confident? No problem. Take your life, business, and relationships to the next level? No problem. A game-plan that will also help to get you back on track quickly when you fall off track. Falling off track is part of the process, it's part of success. Staying off track is not. The goal isn't to not fall off track, it's going to happen. The goal is to get right back on track as soon as possible. 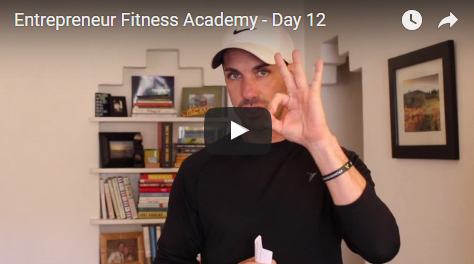 The personalized game-plan you will create for yourself during Entrepreneur Fitness Academy will put you in a position to do just that... to get right back on track quickly and effectively versus days, weeks, or months later. In this interview Chelsea shares why she believes we are all limitless when it comes to our potential. 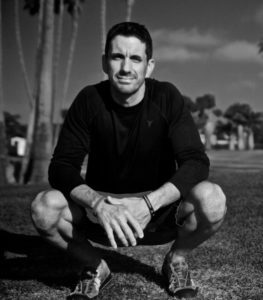 In this interview Chris shares with us why he believes movement is life and how coffee and squats help him thrive in both health and in business. In this interview John shares the importance of setting S.M.A.R.T. 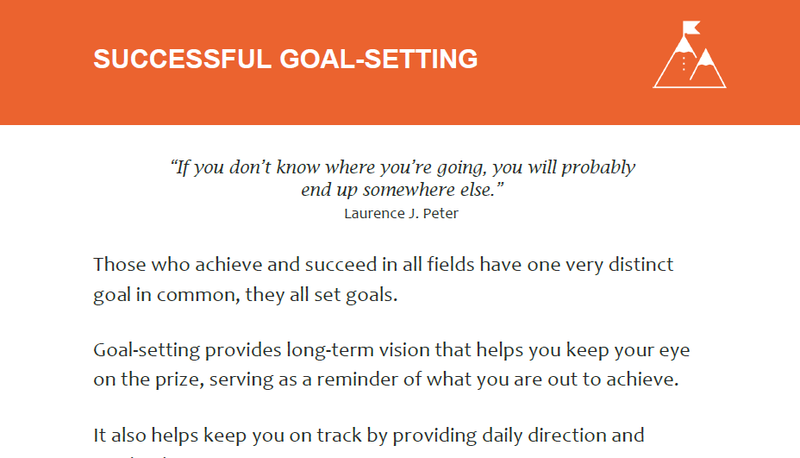 goals in order to create a step by step strategic plan to get there. In this interview Valerie shares with us how she handles fear and failure in order to keep pursuing her goals. 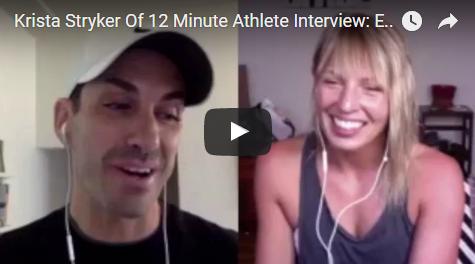 In this interview Krista shares why she believes in the effectiveness of short intense workouts versus spending hours in the gym. 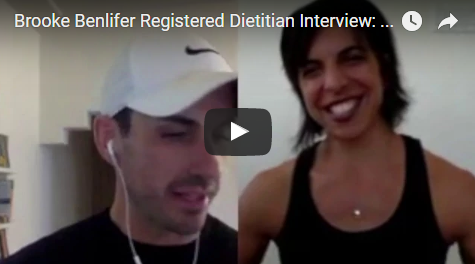 In this interview Brooke shares how to eat healthy on a budget, handle cheat days, and her quick & effective go-to energy boosting snacks. 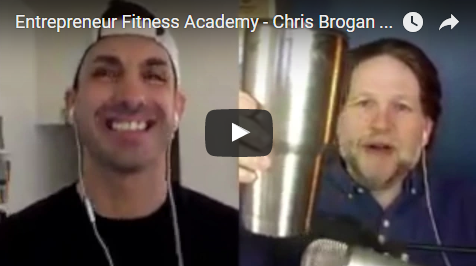 In this interview Chris shares how regular exercise contributes to his continued success as well as keeps him motivated, focused, and grounded. 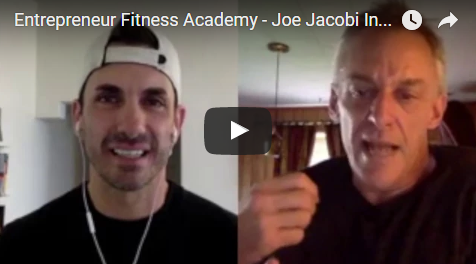 In this interview Olympic Gold Medalist Joe Jacobi shares the importance of waking up for yourself versus for someone or something else. In two months I went from being an unhealthy and unfit person to 22 pounds lighter, much healthier and more fit. I’ve never been able to make the progress that I made with Mike. He refused to let me fail. I have my life back and all the tools I need to continue the journey on my own. It's been an entire lifestyle change. Working with Mike challenged me – in a very good way! I really wanted to focus on my health in general and building my strength in particular. Mike helped me to set up plan that fit into my schedule, challenges me, and now I even look forward to it. He also helped me with my online business and really motivated me to take action on things. Q. 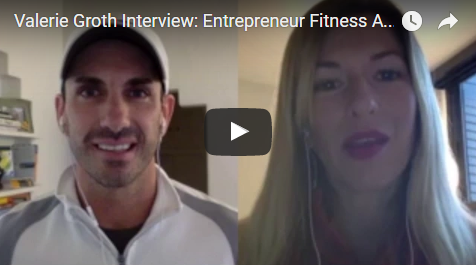 What makes Entrepreneur Fitness different than any other program out there? A. Entrepreneur Fitness Academy is solely committed to helping entrepreneurs create the mindset and fitness habits necessary to feel and be at their absolute best. There is daily accountability so that you're guided and supported every day for all 30 days. The academy helps you to create a personalized game-plan that YOU decide on, that YOU are comfortable with, that YOU commit to, and that works for YOU. A game-plan that makes you, your health, and your well-being the priority and that you will forever have access to and be able to leverage going forward to achieve any goal long after Entrepreneur Fitness Academy is over. Q. What will the time commitment be per day for these 30-days? A. The required time commitment per day will be anywhere between 30 to 60 minutes depending on that days assignment. It may even be less than this on some days if you are already doing some of the things each assignment requires such as exercising & stretching. Q. What if I'm not an entrepreneur, can I still enroll? A. 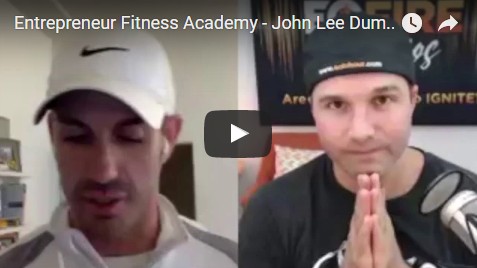 While the academy is designed specifically for entrepreneurs with their mindset and schedules in mind, you do not have to be an entrepreneur to be a part of Entrepreneur Fitness Academy. What matters is that you are committed to doing the work for all 30 days. Q. Do I need to be in certain shape to be a part of this 30-day experience? A. You do not have to be in any particular kind of shape to be a part of Entrepreneur Fitness Academy. Entrepreneurs of all fitness levels are welcome. The academy is set up to serve you whether you're a beginner ready to get serious about your health & well-being, you exercise but not consistently, or you're already in great shape but looking for more motivation, accountability, and support... Entrepreneur Fitness Academy has you covered. Q. What's the structure of these 30-day experience, how does it work? A. Each day you will receive an email giving you access to that days mission. There will be a video intro from me as well as written instructions regarding that days goal & assignments. Assignments will consist of worksheets, reading, interviews to watch, exercise, daily check-in via a private member-only Facebook group, live group calls, and selecting from a serious of resources that I will provide you with to use and leverage going forward. Q. Do I need to have a Facebook Account? A. 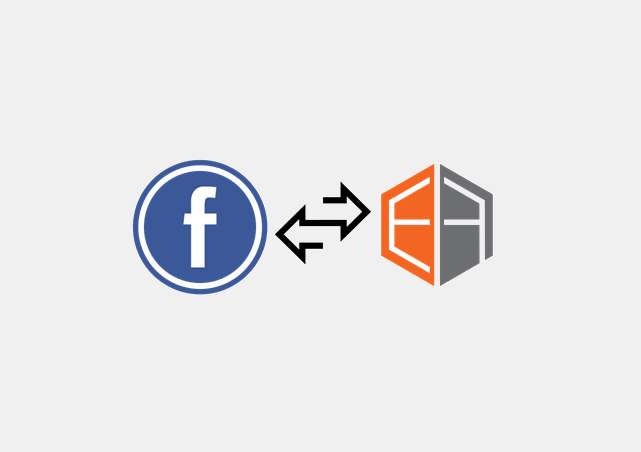 Since daily check-ins via a private member-only Facebook group is a daily requirement, the answer is yes, you must have a Facebook Account in order to enroll in Entrepreneur Fitness Academy. If you do not have a Facebook Account, here's a quick video guide on how to set one up. A. Yes. I only want you paying for the academy if it creates effective and lasting results for you. If you complete all 30 days, all the assignments, and make all the group call and still feel like you haven't made massive progress towards your number one health goal, I will provide you with a full refund. No questions asked. Q. Who is Entrepreneur Fitness Academy for? A. This 30-day experience is for entrepreneurs serious about making their health and well-being a priority, committed to doing the work to feel and be at their absolute best both physically and mentally. Q. Who is Entrepreneur Fitness Academy NOT for? A. Entrepreneur Fitness Academy is not for everyone. This 30-day experience is NOT for people looking for a magic solution, for a quick-fix or success hack. This is not for those looking to do minimal work and expecting maximal results. These 30 days will require your full participation and commitment to do the work and complete the daily assignments. Q. Can I enroll in Entrepreneur Fitness Academy with someone else? A. The academy will be limited to 50 people. You are more than welcome to complete each days worksheets and assignments with someone. Unless you are fully registered for the academy, you will not get your own access to the academy or giving access to the private member-only accountability Facebook group or the live calls. Q. How long do I get access to the academy and all the resources? A. Forever. 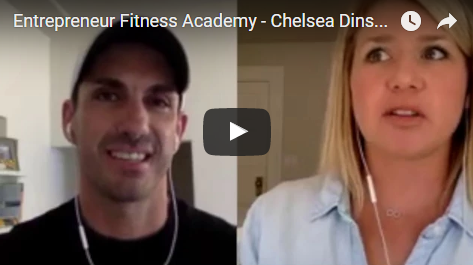 And the great news is, as the Entrepreneur Fitness Academy continues to improve and the price for enrollment increases, you'll be locked in and have access to all of it without ever having to pay enrollment again. Hey there - I'm Mike Goncalves. As a kid, I was so scrawny my mom took me to the doctor to get checked out thinking I must be sick. Turned out I wasn’t sick, just your scrawny average kid. I don't come from an athletic family but instead a Portuguese family who loves to eat and drink. How I am not 300 pounds today remains a mystery to me. In any case, from 8 to 18 years old, I was told often that I wasn't smart or good enough to be successful. It was during this time I discovered that regardless of how crappy I felt, how low my energy and confidence was, the one thing that always energized me and gave me the confidence to keep pursuing my goals was my commitment to health and fitness. Focusing on my health and fitness and making that a priority changed my life. I get up at 4:30am five times per week to exercise now when I was never a morning person. I’ve ran and continue to run half marathons, marathons, and ultra-marathons. I'm 41 years old and able to still maintain a six pack. As an entrepreneur I’ve grown my business to where I am able to do the work I love 24/7. This a result of me financially paying off over 100K of debt in 3 years making the same amount of money I had been making for the past 10 years (which wasn't much) but came as a result of the discipline, commitment, and focus I was able to create through exercise that transferred into other areas of my life (finances & business). I don’t tell you this to brag, I tell you this to share with you the value of making health and fitness a priority. It’s because of this impact that health and fitness has made in my life that I’ve committed myself to helping entrepreneurs like you to not only lose weight, get fit, and to feel your best, but to also realize your own self-worth, value, and full potential through health and exercise by continuing to grow, learn, get better, and feel better in order to live a healthier, happier lifestyle. I look forward to the opportunity to serving you and helping you feel your absolute best. Be the first one to be notified when class re-opens.